Choose the type of stickers you need. Choose the size and quantity of stickers. Online data fill-in and payment. After the payment, we will provide an online preview of your stickers and email you for confirmation. Once confirmed, we will start to print stickers. Stickers will be printed and sent out within 5 days. 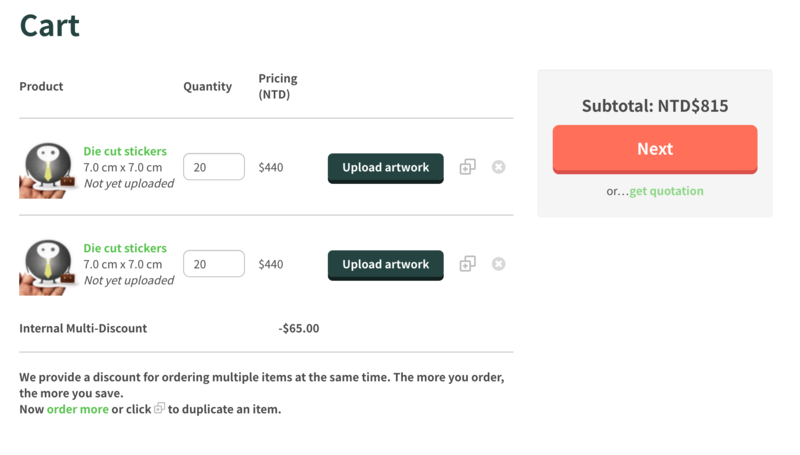 Put the product you need to the Cart, and click "Get quotation". Fill in the information for delivery, and click "Get quotation". 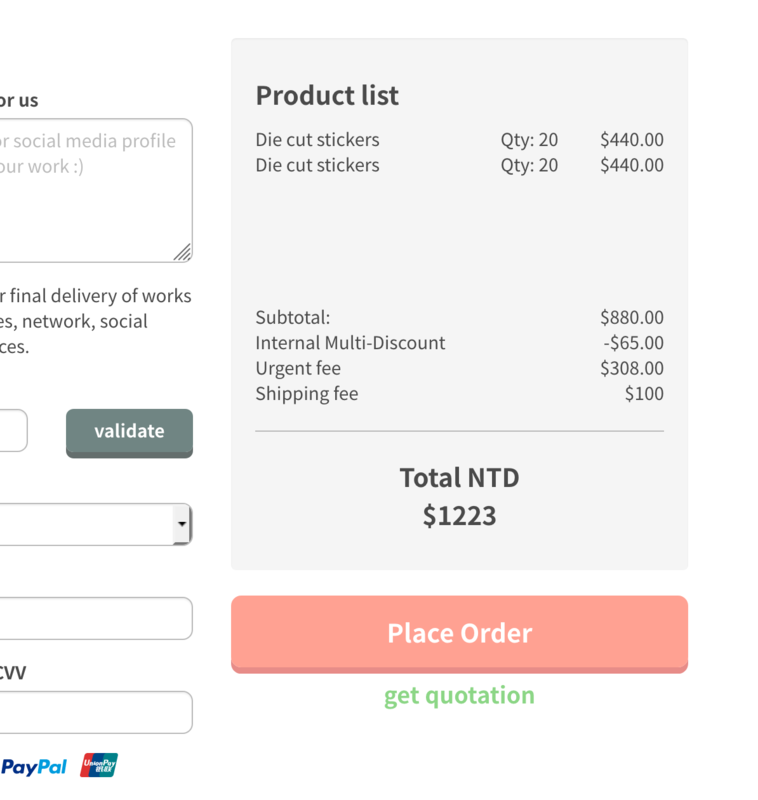 The more types of stickers you order, the more discount you can get. Quantity: The more you print, the more discount you can get. For example, if you have an order of 500 stickers, you will have an appropriate 60% discount for each piece of sticker. Do your price include cutting fee? We do not have any extra charge on cutting. The price on the website has included everything, such as cutting, online preview, and printing.